Collect your Sixt car hire in Inverness from our main Inverness North branch, which can be found just off the A 82 on Harbour road near Inverness College. If you are arriving by air you may prefer to collect your rental vehicle from our Inverness Airport branch, which is located just outside the terminal building on the Dalcross Industrial Estate. Each branch is close to major roads leading to the city centre so your hotel or apartment is always within easy reach. Use our drop-down menu to find more detailed information regarding our car hire in Inverness branches. You can simply click on the second tab of the menu for a handy map demonstrating the precise location of our Inverness offices. Each branch page also shows the address and opening time information. A simple car hire price comparison check will reveal just how affordable we are, and you can take full advantage of our attractive rates and our extensive selection of premium vehicles by simply calling our booking number or reserving your car online. Alternatively, use our handy Sixt App to hire a car for your visit to Inverness while you are on the go. While we always provide the chosen category of rental cars, specific models are subject to availability and can not be guaranteed. Hire a car in Inverness for an hour, a day, a week or a weekend with the help of our friendly team. Our large fleet gives you more choice of rental cars for your stay in Inverness. Discover affordable economy and family vehicles or explore premium models from some of the world's leading luxury brands like BMW and Mercedes-Benz. A 4x4 is ideal for navigating the winding Highland roads that are typical of the countryside around Inverness as well as for driving main routes like the A 82 and A 9. Perhaps you're travelling with a larger group and would the extra space and comfort of a minibus or maybe you are moving house and would find one of our vans or trucks helpful. A van or 4x4 is also a great choice if you plan to visit nearby Aviemore and need room for skis or other sports equipment. You can also enhance your car rental in Inverness with our range of optional extras. Make trips and outings simple with a Sat Nav or add an additional driver to allow you time to enjoy the scenery. You may consider adding a load-securing strap with ratchet if you plan to take skis or if you are moving home while a booster seat is essential if you are travelling with children. Please note that we can also provide vehicles that are specifically designed for various mobility needs. Inverness is the Gateway to the Highlands and many people choose to fly to Inverness Airport (INV) in the first instance. The airport is situated at Dalcross which is 9 miles to the east of the city. Once you have picked up your car hire at Inverness airport you will find that it is an easy drive on the main A 96 trunk road to the city. If you are arriving by train your journey will terminate in the city centre close to our main Inverness office. With your own rental vehicle at your disposal, you are now free to explore the city and its outlying region at your leisure. The A 9 connects Inverness to Aviemore and the south and you will enjoy driving Scotland's longest road north over the magnificent Moray Firth via the Kessock Bridge. The A 82 road also passes through Inverness and provides a useful link to the airport and the Dalcross industrial estate for business visitors. Pay and display parking is available in the city centre as well as spaces at various parking facilities such as the Old Town Rose Street Multi-Storey near the station and the Cathedral parking area on the opposite bank of the River Ness - all of which can be found quickly using your Sat Nav system. The city lies on the River Ness and its well laid out road and bridge system is easy to navigate although none of the main roads that traverses the city centre is entirely dual carriageway. The older part of the city tends to have shorter more winding streets and there is a pedestrianised zone that ends at Inverness Castle. Car rental in Inverness is a smart choice since local bus services don't always show the destination and tend to end at around 7 pm. 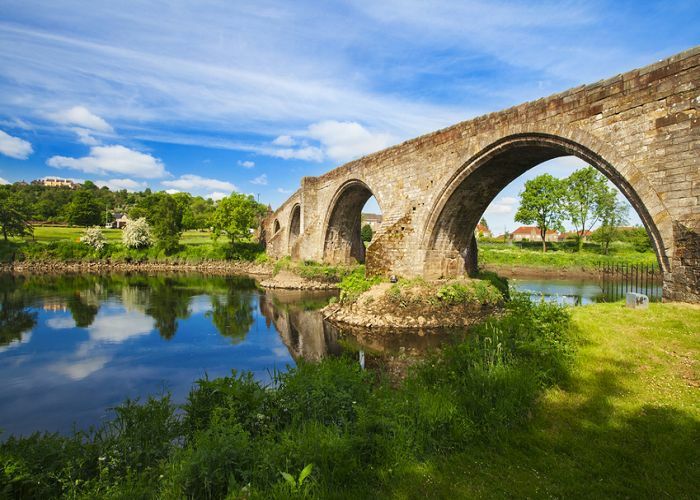 Car hire allows you to explore historic sites like the Old Church or St. Andrew's Cathedral, a magnificent structure with square towers on the bank of the River Ness. 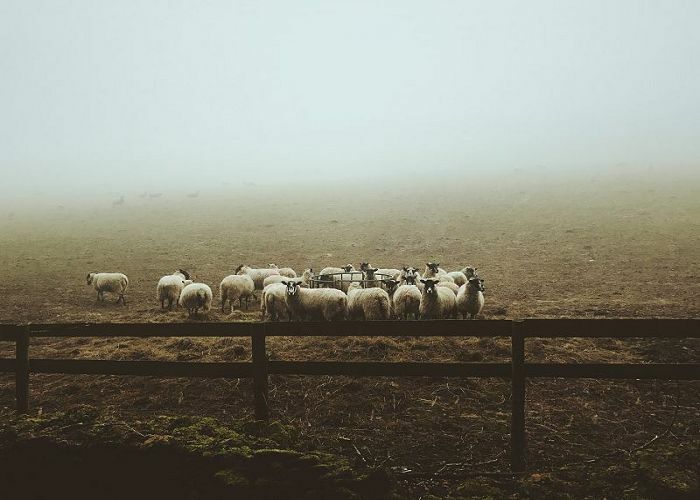 A highlight for most people is the chance to drive to Loch Ness, home of Scotland's most famous monster while others prefer to shop in the Eastgate Centre or load up their clubs for trips to the city's golf courses. The small village of Aviemore was virtually unknown before the Cairngorm Ski area was developed in 1960. Today, many visitors to Inverness take advantage of the city's proximity to Aviemore for a weekend of skiing or a trip on the UK's highest funicular railway which can be accessed from the car park at Coire Cas. A must for Macbeth fans, Cawdor Castle was the setting for William Shakespeare's famous play. The scenic route also passes Culloden, site of one of the most famous defeats of the Scots by the English invaders. 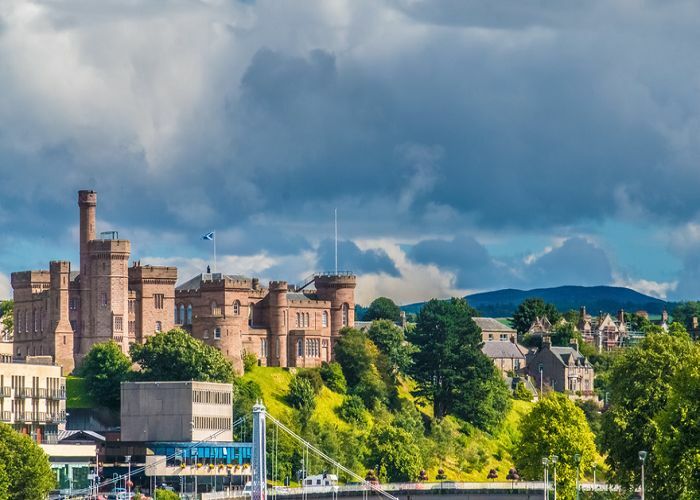 Inverness has previously been named one of the top 20 UK destinations for tourists but the city also attracts business visitors who take advantage of its proximity to major whisky distilleries like Tomatin. The city is also within easy reach of the Inverness Airport Business Park at Dalcross.